The idea for a traditional apple orchard came from looking at local tithe maps from the 19th Century. We noticed several old orchards sited around our beautiful five acre field in the village of Dolton. Since so few now exist in Devon where once there were so many, we decided to plant one. 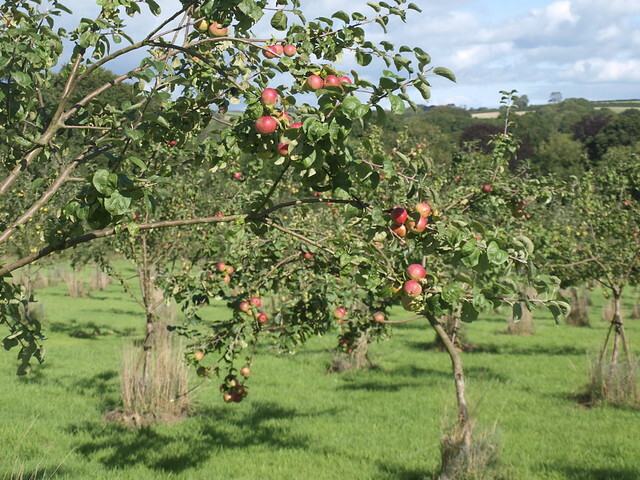 In January 2009 we hand-planted 300 apple trees, many with wonderful, evocative names, such as: Pig’s Nose, Oaken Pin and Slack-Ma-Girdle (click for a full list). The McCurdy Glanville family (Miriam McCurdy & Jake Glanville: hence the trading name ‘McG’) moved to North Devon from West Sussex in 2005. 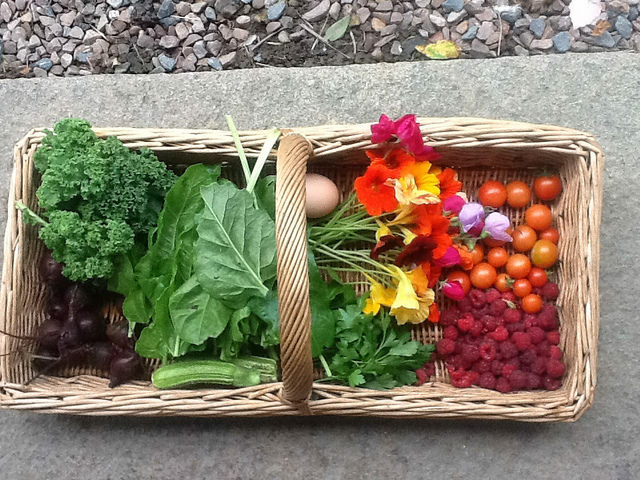 We were extremely lucky to find a family house within walking distance of the village school, and with a large but derelict garden for growing fruit and vegetables. The house also came with a field of unimproved grassland, used for grazing bullocks and horses. This paddock slopes gently down to a stream that joins the beautiful meandering River Torridge half a mile away, in the Halsdon nature reserve. Planting a traditional apple orchard in this field, big ‘standard’ trees rather than rows of small bushes, just seemed like a good thing to do (although short-rotation coppice to help heat the house was another strong contender). The orchard has already fostered connections with our farming community, local naturalists, and the thriving local food culture. With only a few hundred widely spaced trees, a commitment to use only our own apples, no chemicals, and not even a proper tractor, our juice-making business will remain tiddly. But our diminutive scale allows us to remain involved in all the different stages of production, from grafting new trees to picking the apples to delivering juice and cider vinegar to local shops, pubs and cafés. This hands-on, hand-made approach is good for the environment, makes life interesting for us, and results in juices of the highest quality.